Kids have a prehistoric blast with this fun hands-on learning tool that teaches them about color combinations. 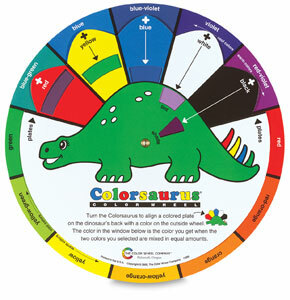 By simply rotating the dino's colorful back plate children mix color and see the results instantly. The printing is large and simply written.